We do not liberate ourselves. No matter how deeply I pressed into liberation theories and practices these past few weeks, I reached the same conclusion. We cannot be our own agents of liberation. Liberation is the action taken up by an agent of change who often does not even realize their defiant disruption becomes the catalyst to breaking through barriers, reaching in and pulling us towards to the light. I kept repeating this phrase over and over. In my head as I brushed my teeth before bed, out loud in the car driving to work, as I walked the stairs to my office. Did I believe that to be true? But more importantly, did I understand what it meant? I was not entirely sure I did know. So, my curiosity opened up space for me to play with some ideas, hold them out in front of me, inspecting them from close up and afar. 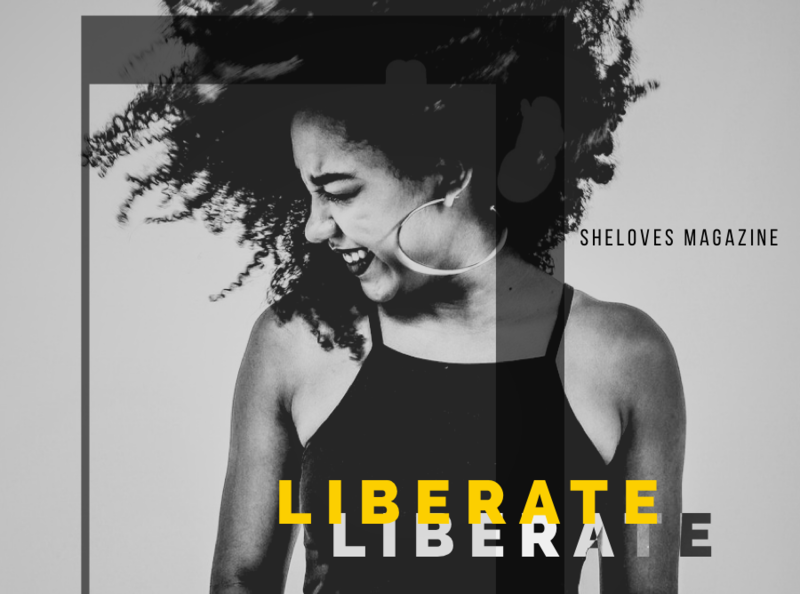 I began to overlay divergent ways of thinking about this idea, dissecting the tiniest of details to get some clarity around what I believed about liberation and why that actually matters. “Is liberation the same as freedom?” I wondered. No, they are not the same, but I think their threads are intimately woven together. Freedom carries within it the ability for a person to think and act without restriction or coercion. The dual actions of “freedom from” and “freedom to” provide us with a framework in which to understand freedom in a more nuanced way. There is a release when we shake off “freedom from” thinking and behaviours. This is an action—moving away from, or being unshackled from. When we lean into “freedom to,” there is conscious leap towards a different way of showing up, speaking or decision-making. And we are the sole activators in exercising both of these freedoms. Yes, others can be critical partners in helping us access and activate our freedom. People like therapists, coaches, spiritual advisors and mentors. But it is in our individual power and personal control to activate our own freedom. But liberation … Liberation is something more. 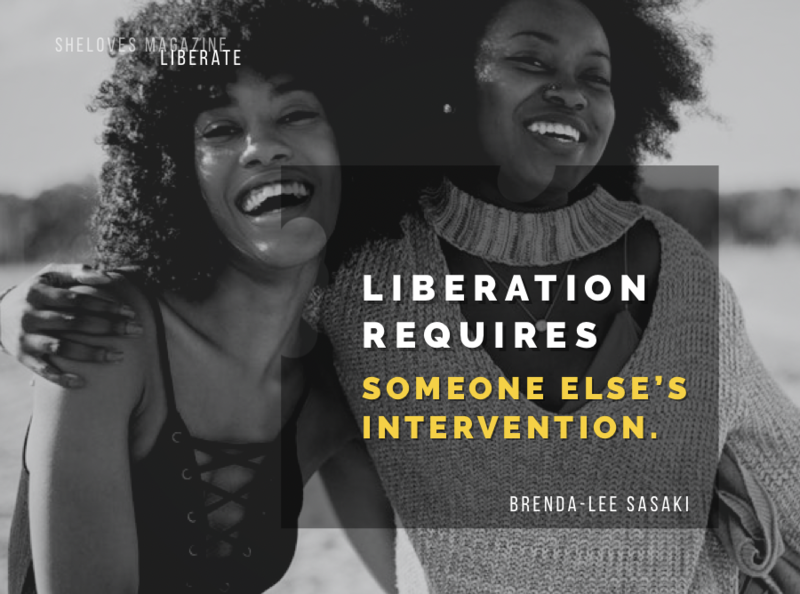 Liberation requires someone else’s intervention. It needs another person to step forward and disrupt the conditions that prevent another human from experiencing freedom. Liberation cannot merely be an ideology or interchangeable with the idea of freedom. Because if it is, then it is an ideology of the privileged, of the elite who directly and indirectly benefit from those who are not free. Liberation recognizes that full membership and status by those who are oppressed must be restored. Liberation recognizes there is an inherent injustice in the prevailing system that must be rooted out and replaced. So, the idea of liberation is attractive, yet the actual practice of liberation is anything but. It is hard and requires contending and deep, labourious struggle. It pushes back against the forces that would benefit from the status quo. But make no mistake, liberation is also costly. While freedom requires great courage, liberation requires great sacrifice. If we want to become agents of liberation and not just talk about it, we have to be willing to first recognize the privilege, influence and access that many of us inherently possess and be willing to relinquish it, all of it, in re-orienting and re-imaginative ways. Many of us, including me. Friends, I am that woman of privilege. I am that white, middle-class, educated woman. I come from privilege. I work in privilege. I live with privilege. And I am regularly contending with the discomfort surrounding this reality and my desire to steward this privilege towards liberation. Full disclosure: Liberation has become more than I originally anticipated. I had to wake up to the reality that the world is not as it should be—socially, economically, politically, spiritually, relationally. But it was more then mere acknowledgement, it is a waking up to how I have been buffered and have benefitted from staying sheltered within my own privilege. I had to wake up to the reality of those around me who did not have the luxury of remaining blissfully unaware. As I commit myself to waking up and staying awake, awareness and education about those inequities need to happen. I have to immerse myself in learning about and learning from those who can teach me what I do not know that I don’t know. Asking what liberation looks like from those who require liberation, is much better than trying to guess. Then, just last week, a friend from afar messaged me out off the blue with one sentence: “So, I realized something today. You are the Canadian version of Brene Brown.” Through her words, the limiting beliefs that had accompanied me all day, was instantly shattered as her words of liberation broke through the mist. And I received her words. Then I remembered: Ah, yes, we do not liberate ourselves. I am an unapologetic extrovert who can’t help but invite all I encounter to jump into my abundant, venti life, usually around a table with sweets or savories and often accompanied by a full-bodied merlot or quad americano. I preach (sometimes), teach (most of the time), read, write and research (all of the time), coach and strategize (when invited), and make mischief (as often as possible.) 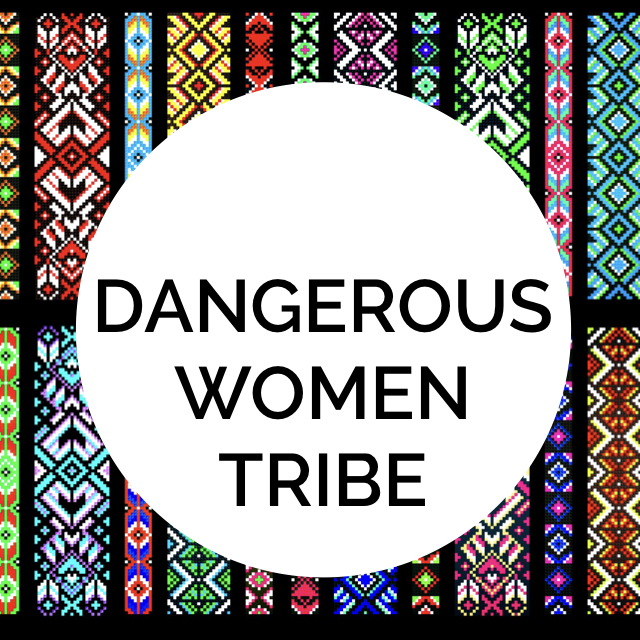 I am a fierce ally and advocate for brothers and sisters on the fringes of mainstream western evangelicalism. I am wife to 1, mom to 3 and Auntie B to many.